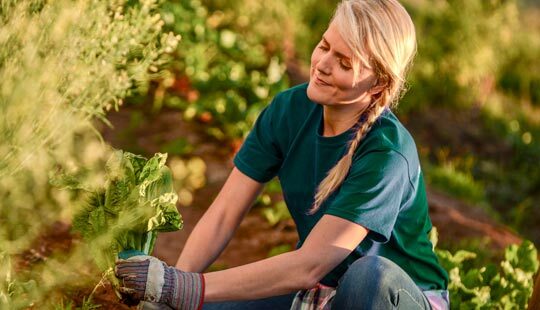 Grand Canyon Education, Inc. shares the common goal of each partner to improve lives through higher education and to champion student success to ensure the legacy of the institution for generations to come. To provide innovative educational learning solutions that promote student success and institutional growth. Orbis Education is a wholly owned subsidiary of GCE that works in partnership with a growing number of top universities and healthcare networks across the country to develop high-quality, career-ready graduates ready to enter the workforce and ease industry demands. 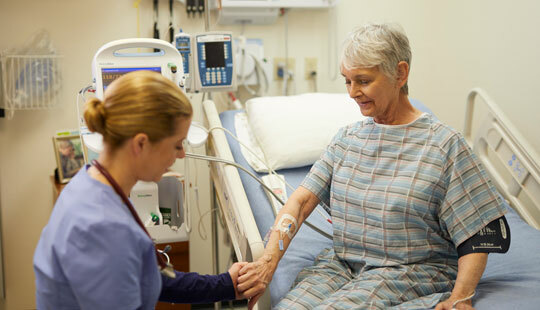 Orbis Education’s successful outcomes are accomplished through accessible programs that blend online, hands-on and clinical experiences. These programs allow universities to increase enrollment and deliver a high-quality healthcare education. In the last 10 years, GCU has benefited thousands of students, families and employees, the neighboring inner-city community and the businesses that covet its graduates. This structure also created a model that allowed GCU to freeze on-campus tuition for 10 consecutive years, making higher education affordable to all socioeconomic classes. GCU has been able to invest over $1 billion dollars in campus facilities, classroom buildings, full-time faculty and programmatic expansions in high-demand areas such as STEM, including engineering, computer science, computer programming and information technology. Today, GCU helps over 19,000* on-campus students and 70,000 online students find their purpose and prepare for a career that makes a difference. GCU offers over 200 academic programs including 150 online academic programs. Are you interested in a rewarding career supporting and innovating for an educational institution? Jobs at GCE include admissions counselors, marketing, human resources, accounting and many more! Get started today by exploring your opportunities to help students find their purpose. 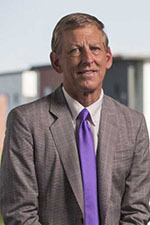 Brian E. Mueller has been serving as Grand Canyon University’s CEO since 2008, as director since 2009, as president since 2012 and as the chairman of the board since 2017. He is president of the Grand Canyon University Foundation, which was formed to benefit public charities, and president of GCU Community Fund, which provides seed funding for entrepreneurial ventures initiated by GCU students. For over two decades, Mueller was employed by Apollo Education Group, Inc., a for-profit postsecondary education company and the parent company of the University of Phoenix. He was also a professor at Concordia University. He received a Bachelor of Arts in Education and a Master of Arts in Education from Concordia University. Mueller’s past experience working for universities focused on both traditional students and working adults, along with his day-to-day leadership and intimate knowledge of GCU’s business and operations, provide the board of directors with both industry-wide and company-specific experience and expertise. David J. Johnson has been serving as a member of Grand Canyon University’s board of directors since 2008. For nearly a decade, Johnson served as CEO and chairman of the KinderCare Learning Centers Board of Directors, a for-profit provider of early childhood education and care services. 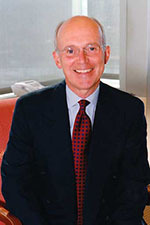 His career includes roles as president, CEO and chairman of the board of directors of Red Lion Hotels Corp., a hotel company; a general partner of Hellman & Friedman, a private equity investment firm; president, COO and director of Dillingham Holdings, a diversified company; and president and CEO of Cal Gas Corp., a principal subsidiary of Dillingham Holdings. He received a Bachelor of Arts from the University of Oregon and an MBA from the University of Southern California. Jack A. Henry has been serving as a member of Grand Canyon University’s board of directors since 2008. Henry has served as the managing director of Sierra Blanca Ventures, LLC, a private investment and advisory firm, since 2000. For over three decades, he worked as a certified public accountant for Arthur Andersen, retiring in 2000 as the managing partner of the Phoenix office. Mr. Henry currently serves on the board of directors and is chair of the audit committee of TPI Composites, Inc., a manufacturer of composite wind blades. He’s also on the boards of directors and audit committees of several private companies and is president of the Arizona Chapter of the National Association of Corporate Directors. Henry received a bachelor’s in business administration and an MBA from the University of Michigan. Kevin F. Warren has been serving as a member of Grand Canyon University’s board of directors since 2012. Warren has served as a senior officer for the Minnesota Vikings since 2005 and currently serves as the club's COO. Prior to joining the Vikings, he worked with the law firm of Greenberg Traurig from 2003 - 2005. 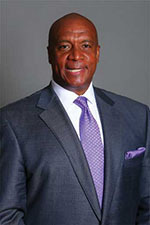 Warren served as senior vice president of business operations & general counsel for the Detroit Lions from 2001 - 2003. He’s also worked with the St. Louis Rams and served as vice president of the Football Administration and vice president of Player Development & Football Legal Counsel from 1997 - 2000. Warren earned his bachelor's in business administration from GCU and was inducted into the GCU Athletics Hall of Fame. He earned his MBA from Arizona State University and his Juris Doctor from the University of Notre Dame School of Law. 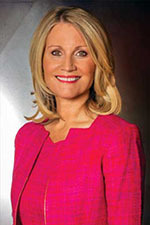 Sara R. Dial has served as a member of Grand Canyon University’s board of directors since 2013 and as the lead independent director since 2017. Dial has served as president and CEO of Sara Dial & Associates, an economic development consulting firm specializing in site selection and government relations, since 1996. She has led economic development initiatives in Arizona, including the creation and implementation of an urban revitalization model, the "Discovery Triangle," and the restructuring of Arizona's statewide economic development organization. Dial also served as the chief executive of Social Venture Partners Arizona, a philanthropic foundation using a venture capital approach to giving, among other positions. She graduated from Stanford University with a Bachelor of Arts in International Relations. Mr. Mueller has served in the role of Chief Executive Officer of Grand Canyon Education since 2008, as a director since 2009, as president since 2012, and as the chairman of the board since 2017. He continues to be President of Grand Canyon University, a position he has held since 2012. 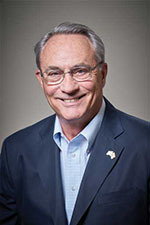 In addition, he is president of the Grand Canyon University Foundation, a foundation formed to benefit public charities, since its formation in 2010 and is president of GCU Community Fund, an entity formed to provide seed funding for entrepreneurial ventures initiated by GCU students since its formation in 2014. For over two decades, Mr. Mueller was employed by Apollo Education Group, Inc., a for-profit, postsecondary education company and the parent company of the University of Phoenix, serving between 2006 and 2008 as president and director. Previously, he was the chief operating officer of Apollo Education Group, Inc., chief executive officer of the University of Phoenix Online (a unit of the University of Phoenix) and chief operating officer and senior vice president of the University of Phoenix Online. Mr. Mueller held several positions in operations management for Apollo Education Group, Inc. for 10 years and was a professor at Concordia University. He received a Bachelor of Arts in Education and a Master of Arts in Education from Concordia University. Mr. Mildenhall has served in the role of Chief Information Officer of Grand Canyon Education since 2009. For over a decade, Mildenhall was employed by Apollo Education Group, Inc. as chief information officer from 2006 - 2009. He directed the design, development and deployment of the University of Phoenix online education environment and the student and faculty Internet portal, supporting the rapid growth of the online campus beginning in 1998. For nearly a decade, Mildenhall held increasingly responsible roles in software development at J&K Computer Systems, eventually becoming vice president and co-owner. When J&K Computer Systems was acquired by National Computer Systems, he fulfilled senior software development and technology leadership roles. Mildenhall holds a Bachelor of Science in Accounting from Brigham Young University and an MBA from the University of Phoenix. Dr. Meyer has served as Chief Operating Officer of Grand Canyon Education since 2012, having previously served as executive vice president. For six years, Dr. Meyer was employed by Apollo Education Group, Inc., where he was executive vice president of marketing and enrollment between 2006 and 2008. He previously served as a regional vice president of the University of Phoenix Online and division director of Axia College and the School of Advanced Studies. For almost two decades, Dr. Meyer held several positions with the Concordia University system, including director of operations for Concordia University's education network. Dr. Meyer received a Bachelor of Arts in Communications from Concordia University and an MBA and a Doctor of Education in Institutional Management from Pepperdine University. Mr. Bachus has served as the Chief Financial Officer of Grand Canyon Education since 2008. Prior to GCU, he was chief financial officer for Loreto Bay Company, a real estate developer. From 2000 to 2006, Mr. Bachus was Chief Accounting Officer at Apollo Education Group. Mr. Bachus earned his Bachelor of Science in Accounting from University of Arizona, and an MBA from University of Phoenix. Ms. Marsh has served as the Chief Data Officer of Grand Canyon Education since 2008. She has served in higher education for the last 20 years, starting at University of Phoenix in August 1998. 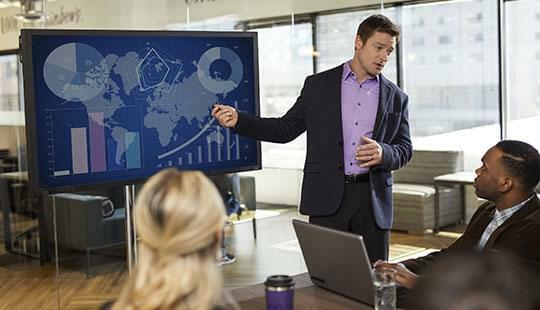 Marsh has served in various positions including academic counseling, software development project management, business process design and business analytics. She holds a Bachelor of Arts in Sociology from Bogazici University in Turkey, a Master of Arts in Anthropology from Arizona State University and an MBA in Technology Management from University of Phoenix.